When I think about VR gaming, I generally think about flying or driving sims—games in which I'm seated in some sort of cockpit. (You may recall that CCP touched on this topic last year.) Platformers? Not so much. 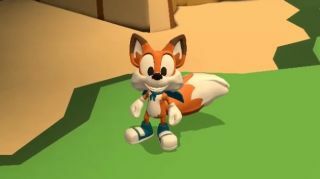 But Oculus VR announced today that the Mario-inspired, “made-for-VR” platformer Lucky's Tale will not only be an Oculus Rift launch title, it will come bundled with the headset at no extra charge. The Oculus Rift still doesn't have a hard launch date, but Luckey—the Palmer, not the fox—recently tweeted that the company remains on target for a release in the first quarter of 2016.